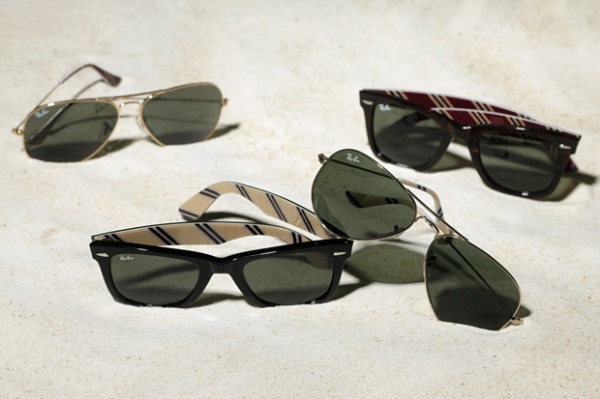 Though we reported on it earlier, we now get a solid look at the Ray-Ban for Brooks Brothers capsule collection. Reconciling Ray-Ban’s classic designs with Brooks Brothers’s preppy image, this collection ranges from impossibly understated aviators, to stylish Wayfarers updated with BB#1 repp stripes on the insides of the arms. Available online and in store now. This entry was posted in Collections, Sunglasses and tagged BB, Brooks Brothers, Ray Ban, Reconciling Ray Ban. Bookmark the permalink.